Do you have relationship rules for your partner? When one half of a couple makes rules for the couple, look out! Parents make rules for children, so the person who’s making the rules has cast him or herself as the parent and the partner as the child. Why would either partner find this satisfying? The partner in the rule-making “parent” role believes that he or she has a monopoly on what’s right or better and that the other partner will be better off doing things by the rules. This rule-maker feels in control, therefore safe, with rules. Everything will go according to his or her plan. One of the many problems inherent in this idea is this: Life is not that neat and predictable. Another problem is that rule-making doesn’t leave room for the other partner to have a difference of opinion. Accepting someone for who they are and dictating who they must be are two different things. The first is a hallmark of adulthood: You either love the person for who they are, or if you can’t tolerate their behavior/style/values/whatever, you go your separate ways. Staying and complaining or making rules about how they should be is infantile. The other person has a right to be who they are. 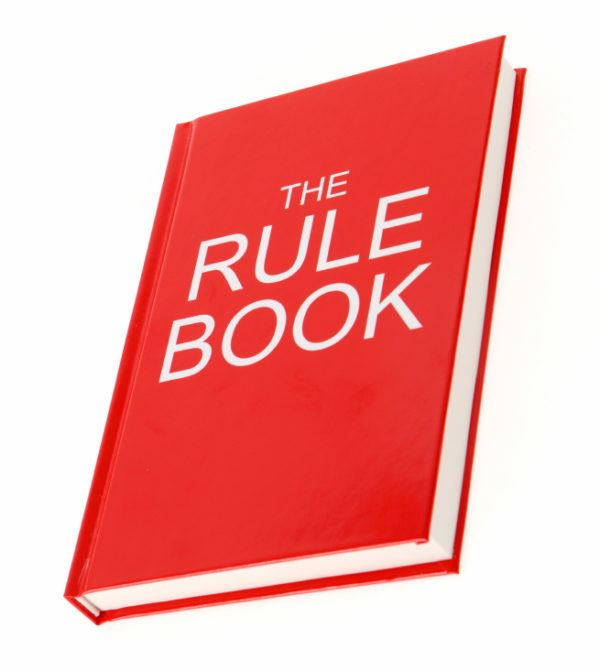 And the rule-maker has the right to make rules. But someone who hears rules and agrees to them needs to look at why they would agree to be the child in the relationship. The partner who’s been cast in the “child” position will either behave like a dependent, compliant child, following all the rules and afraid of angering or disappointing the other partner and losing love, or will behave like a rebellious adolescent, breaking the rules at will in the “parent’s” face or sneakily. Neither behavior is adult functioning! A person who functions as an adult will hear a set of rules and run the other way, because it’s not satisfying to be treated as a child when one is a chronological adult. So is there satisfying life beyond rules? Yes! Adults don’t set rules in reasonable relationships. They consider each other, honor their commitments, and handle themselves with integrity, not because they will get in trouble with “Mommy” or “Daddy” if they don’t, but because autonomy and integrity feel good. It’s about making a decision they can live with, not blindly, resentfully, or rigidly following someone else’s rules to avoid being put on relationship probation. If you’re a rule-maker, rule-breaker, or rule-follower in your relationship, you can make good use of treatment to understand why you want to function in this way. Therapy can be a tremendous help in understanding how your worldview developed to the point of either believing you know how others should behave or that others know how you should behave! Rules are about dependency, and counseling helps you learn what’s important to you and how you want to behave, rather than deciding for other people or letting other people decide for you! If you’d like to learn more, reach out to me here. I look forward to speaking with you.